Google's AI-powered job search tool, Google for Jobs, seems to be live for some users. The feature which works in regular search is now visible to some users in the US. According to Android Police, a relevant search for job lists some vacancies from job listing sites. Unfortunately, there is still no word whether the feature is still being tested or has started rolling out steadily. The new Google for Jobs search feature will be limited to the US market initially. There has been no word whether the search tool will be expanded to more markets outside the US. Announced at Google I/O 2017, the all-new Google for Job initiative is meant to help job seekers find a job right from the Search. The company at its annual developer conference named a few partners for job listings including LinkedIn, Monster, Glassdoor, Careerbuilder, and Facebook among others. Google for Jobs will further let job seekers filter job openings based on location, category, date posted, and full-time or part-time employment, and other options. The new job search tool has been announced with a focus to make finding jobs that were traditionally harder to search for and classify, including service and retail jobs , comparatively easier. 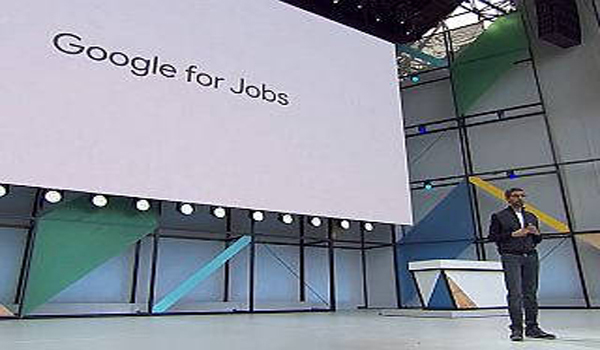 Google CEO Sundar Pichai had at the I/O 2017 Keynote named some companies that were piloting the new Google for Job search tool like FedEx and Johnson & Johnson. Pichai had stressed about why the company felt the need for Google Jobs as almost half of US employers were having issues filling open positions while job seekers weren't even aware about a job opening.